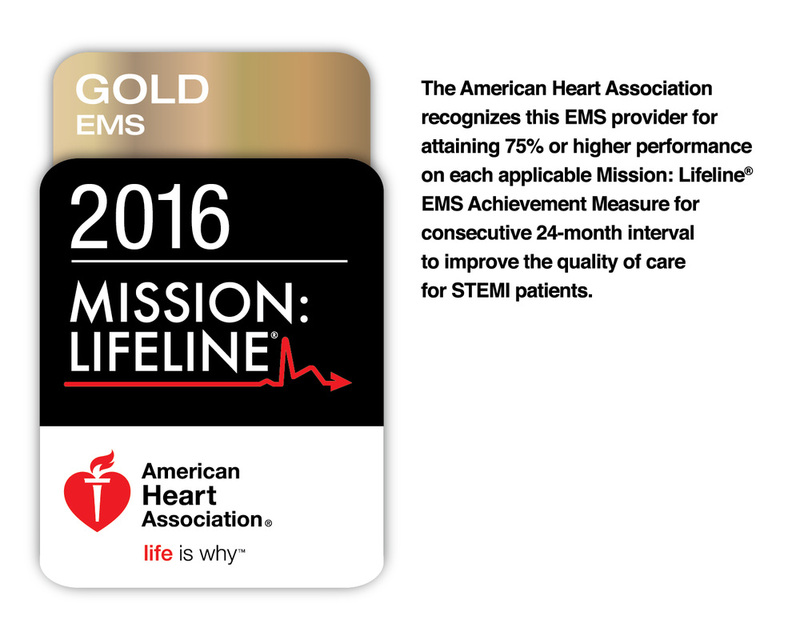 Willard Fire & Rescue has received the American Heart Association's Mission EMS Lifeline GOLD AWARD for 2016 for it's cardiac care given to patients having a STEMI (ST Elevation Myocardial Infarction) heart attack. Our department received the Silver Award in 2015 and now the Gold Award in 2016. There were only 57 agencies in Ohio who received either the Bronze, Silver or Gold. Willard Fire & Rescue was one of 23 agencies who received the Gold. Special thanks to all of our EMS personnel who make this happen! Willard Fire Department has achieved the 2016 Mission: Lifeline® EMS Gold Level Recognition Award. This award is based upon the achievements as identified through your agency’s online application submission of data representative of care delivered in 2015. Collaboration among pre-hospital and hospital providers is the essence of Mission: Lifeline. The American Heart Association recognizes the vital importance Emergency Medical System providers provide to the overall success of Mission: Lifeline STEMI Systems of Care. The correct tools and training allow EMS providers to rapidly identify the STEMI, promptly notify the destination center and trigger an early response from the awaiting hospital personnel. As an EMS agency that delivers education in STEMI identification, provides access to 12 lead ECG machines and develops protocols derived from ACC/AHA STEMI Guidelines, your medics are driving improvements in the care and outcomes of STEMI patients. 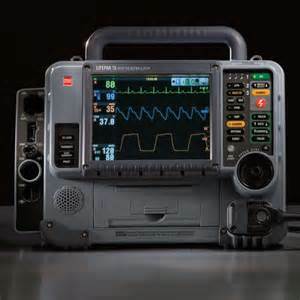 Willard Fire & Rescue uses the some of the latest technology by using the Physio Control LifePak 15 cardiac monitor. ​We are able to acquire a 12 Lead EKG from a patient and then transmit the 12 Lead EKG to the hospital using a wireless modem. The hospital receives the 12 Lead EKG through the LifeNet System and is able to see the patient's 12 Lead EKG on a screen and a paper printout. The cardiologist affiliated with the hospital is able to receive the patient's 12 Lead EKG directly on their smartphone. All of this can be done from inside of the patient's residence before even being transported to the hospital. ​Time matters when you are having a heart attack (Myocardial Infarction MI) and we are doing what we can to save time for your heart.